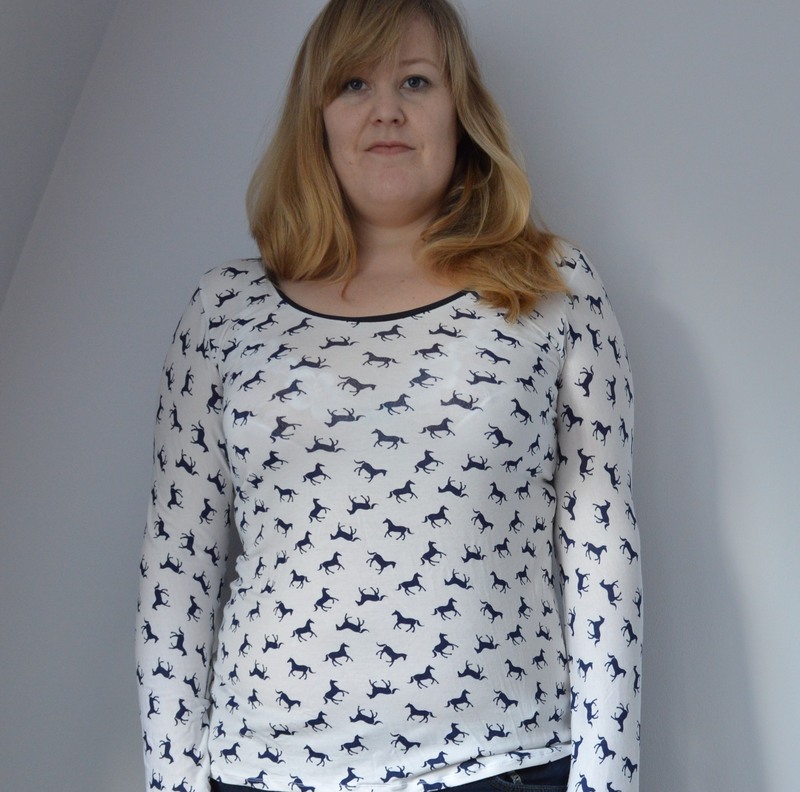 This is the Deer & Doe Plantain Top – I actually finished this on the last day of January in time for the sewcialists #bluefebruary. I was so pleased with myself, finishing something off for myself for once… Then I had a knock on the door from my builder, turned out he could start the re-decorating my flat earlier than anticipated. The next thing I know – CHAOS! I think I’ve only just recovered from it. Don’t get me wrong, they did a great job but it definitely makes you appreciate not moving house or packing your stuff up for a very long time. Still, it has been a great time for de-cluttering my place and I feel a lot better mentally for it. Weird how clutter just seems to drain you mentally and physically. Details: Viscose Jersey from my local shop: Fabrics Galore and I used thicker navy blue lycra jersey for the neckline & patches. I think next time that I would probably use the thicker lycra to finish the wrists too. Love the patches! This is a really easy make, if you haven’t already made it – do it! 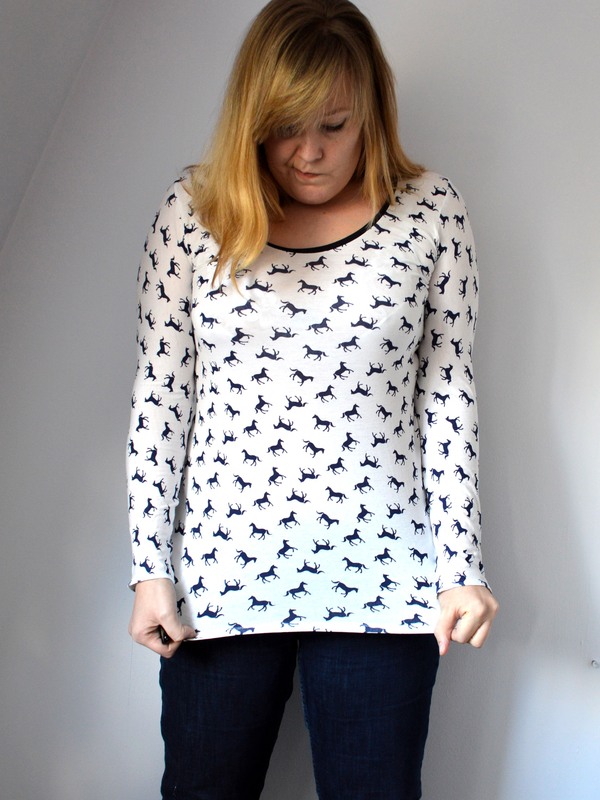 Plus it’s a free pattern – bonus! Click here. « A Little Retro Magic…. Lovely top! I’m already obsessed with the Plantain pattern and have made five versions so far. 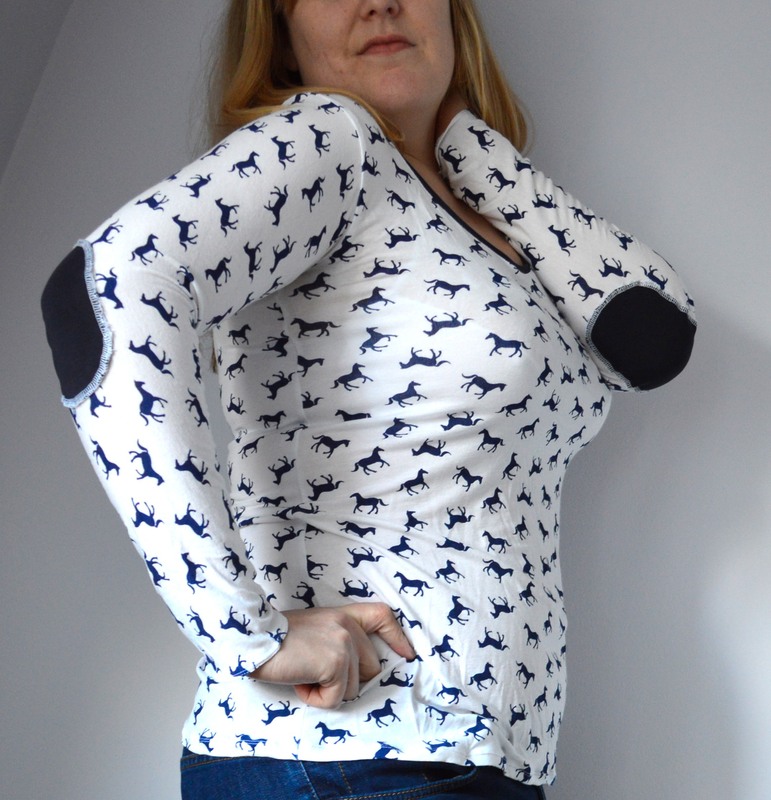 I also picked up some of this gorgeous horse print at the recent Olympia Knit & Stitch show as its such a lovely quality knit. Great job. Thanks! 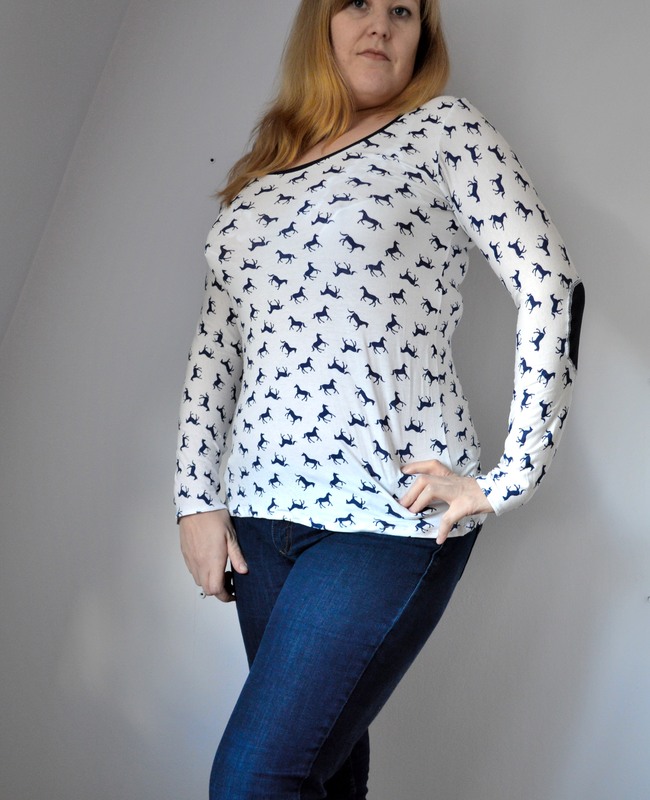 I love the plantain top, so easy to make and such a wardrobe staple! !